Home » Blog » MS Outlook » Top Free Methods to Export Mac Outlook 2019 to PST- Check Out Here! Top Free Methods to Export Mac Outlook 2019 to PST- Check Out Here! Microsoft Outlook is the king of all email clients when it comes to features, efficiency, and performance. Basically, it is a personal information manager which makes easy for organizations to manage their communication process along with data. Both Windows and Mac Operating system users can work with the Outlook email application. Sometimes, due to various reasons, one has to switch from Mac Outlook to Windows Outlook. In such a situation, the most challenging task for the user is to migrate data from one platform to another. Thus, to make the task hassle-free for the users, we are going to explain a step-by-step process to export Mac Outlook 2019 to PST file format. There can be various reasons which are responsible for Mac Outlook to Windows Outlook migration. However, sometimes reasons depend on the users and the organization’s requirements. The most common reasons behind such migration can be upgrading computer’s Operating system, switching organization, want to explore Windows Outlook, etc. Now, when we talk about data migration from Mac Outlook to Windows Outlook then it is a quite challenging task. As there is no direct manual method to transfer data from Mac Outlook 2019 to Windows Outlook. The user needs to follow the 4-step process to move Mac Outlook data to Windows Outlook. First, you need to open Mac Outlook and then right-click on the configured email account folder. Finally, you need to open Windows Outlook and configure the same Gmail account in it. 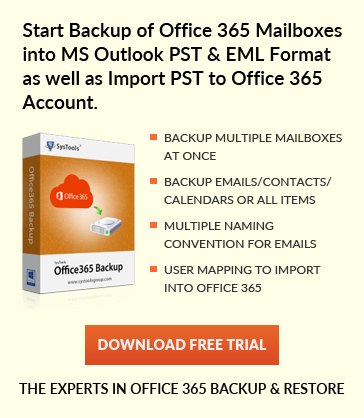 After configuration, you will notice that all the OLM files are exported to Outlook PST. Is There Any Way to Directly Export Mac Outlook 2019 to PST? Most of the users find the manual method complicated and time-consuming. Moreover, sometimes, the user also has to face data loss issues while implementing the manual method. Thus, to avoid all the complex situations, users search for an instant and automated solution. Yes, there is a direct way to export Mac Outlook 2019 to PST. In Mac Outlook all the data is saved in OLM file format whereas Windows Outlook keeps data in PST file format. Thus, the user needs to convert OLM data into PST file format and then import PST data into Windows Outlook. To convert Mac OLM files into PST the user can make use of Mac OLM Converter. With this utility, the user can easily convert Mac Outlook OLM data into Outlook PST file format in just a few clicks. The software is designed with a user-friendly interface and is integrated with outstanding features. Export Mac Outlook 2019 to PST In A Seamless Way! There are many users who need to switch from Mac Outlook to Windows Outlook. Thus, in the above section, we have introduced both manual and automated way to move Mac Outlook 2019 OLM files to Windows Outlook. The user can opt for Mac OLM Converter to convert and export Mac Outlook 2019 data to Outlook PST without any data loss and security issues.